I will not win the argument homosexuality is not a sin. 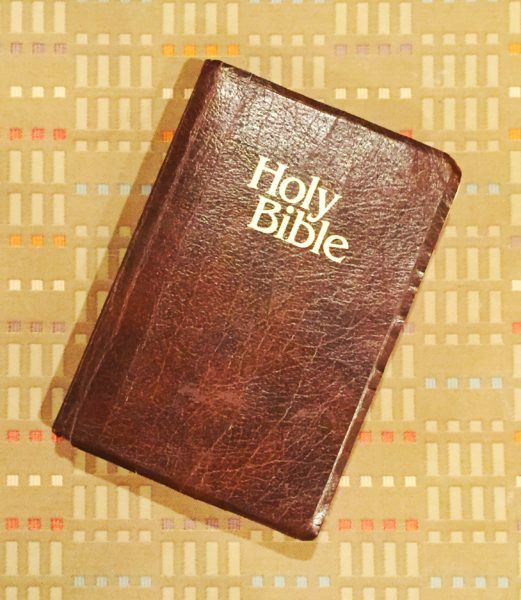 There are 31,102 verses in the Bible. 23,145 in the Old Testament and 7,957 in the New Testament. Of these, the following reference homosexuality. For this reason God gave them up to vile passions. For even their women exchanged the natural use for what is against nature. Likewise also the men, leaving the nature use of the woman, burned in their lust for one another, men with men committing what is shameful, and receiving in themselves the penalty of their error which was due. Do you not know that the unrighteous will not inherit the kingdom of God? Do not be deceived. Neither fornicators, nor idolaters, nor adulterers, nor homosexuals, nor sodomites, nor thieves, nor covetous, nor drunkards, nor revilers, nor extortioners, will inherit the kingdom of God. I’m not going to argue that point. What I will offer is this. I listened in Sunday School, during Sunday service, Sunday nights, and Wednesday nights. I grew up in the church. 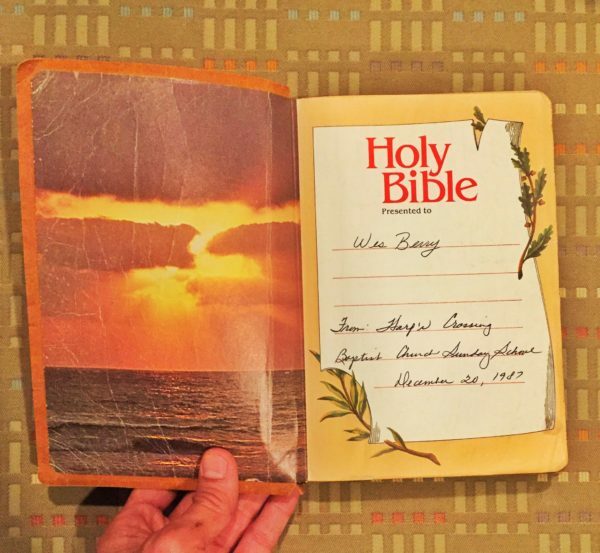 I studied my Bible at home. I know the Bible. I know the beautiful stories of kindness, hope, and love filling the Bible. I know the virtues and values of Christianity as outlined in the Bible. The Bible is a book filled with hope, good triumphing over evil, acceptance overriding judgment, love stifling hate. The foundations of the Christian religion, as presented by the Bible, are Faith, Hope, and Love. These three, together and separately, are repeated continuously throughout the Bible. Hope: Be of good courage. And He shall strengthen your heart, All you who hope in the Lord. Love: Beloved, let us love one another, for love is of God; and everyone who loves is born of God and knows God. He who does not love does not know God, for God is love. The Bible also outlines rules for us to follow and verses of acceptance and kindness are the basis of the gospel. The Ten Commandments: Owe no one anything except to love one another, for he who loves another has fulfilled the law. For the commandments, “You shall not commit adultery,” You shall not murder,” “You shall not steal,” “You shall not bear false witness,” “You shall not covet,” and if there is any other commandment, all are summed up in this saying, namely, “you shall love your neighbor as yourself.” Love does no harm to a neighbor; therefore love is the fulfillment of the law. Acceptance: There is neither Jew nor Greek, there is neither slave nor free, there is neither male or female; for you are all one in Christ Jesus. Kindness: You have heard it was said, ‘You shall love your neighbor and hate your enemy. But I say to you, love your enemies, bless those who curse you, do good to those who hate you, and pray for those who spitefully use and persecute you, that you may be sons of your Father in Heaven; for He makes His sun rise on the evil and on the good, and sends rain on the just and on the unjust. 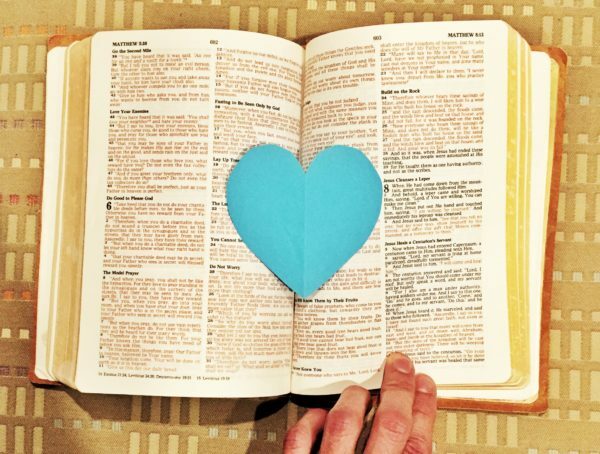 Regardless of your religious beliefs, the Bible presents good values of bringing together community and sharing a message of Faith, Hope, and Love. Such is the message I get from reading and studying the Bible. I believe this is the message delivered, and I think this is what it means to be “Christian”. 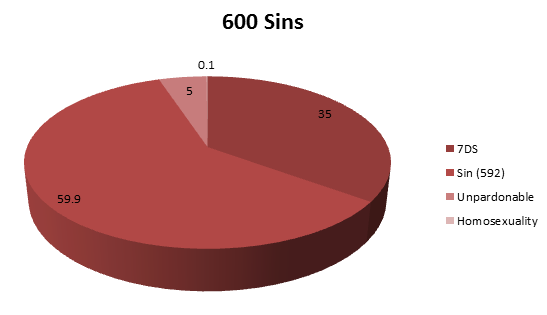 The website amazingbible.org lists over 600 scripture backed sins. Homosexuality is 1 of 600+ listed. Rewarding Evil for Evil: Repay no one evil for evil. Have regard for the good things in the sight of all men. Fear (grouped with others): But the cowardly, unbelieving, abominable, murderers, sexually immoral, sorcerers, idolaters, and all liars shall have their part in the lake which burns with fire and brimstone, which is the second death. Hate: If someone says “I love God,” and hates his brother, he is a liar; for he who does not love his brother whom he has seen, how can he love God whom he has not seen? And this commandment we have from Him: that he who loves God must love his brother also. Preaching With The Wisdom Of Man’s Words: For Christ did not send me to baptize, but to preach the gospel, not with the wisdom of words, lest the cross of Christ should be made of no effect. Of the 600 listed, seven are deadly. These six things the Lord hates, Yes, seven are an abomination to Him: A proud look, A lying tongue, Hands that shed innocent blood, A heart that devises wicked plans, Feet that are swift in running to evil, A false witness who speaks lies, and One who sows discord among brethren. And there is one unpardonable sin. So, with all this sin, where does homosexuality fit? How does it compare to the other sins? What does the Bible say? If anyone sees his brother sinning a sin which does not lead to death, he will ask, and He will give him life for those who commit sin not leading to death. There is sin leading to death. I do not say that he should pray about that. All unrighteousness is sin, and there is sin not leading to death. How much time should be spent on the pulpit discussing homosexuality as a sin? Below I have put together two scenarios. 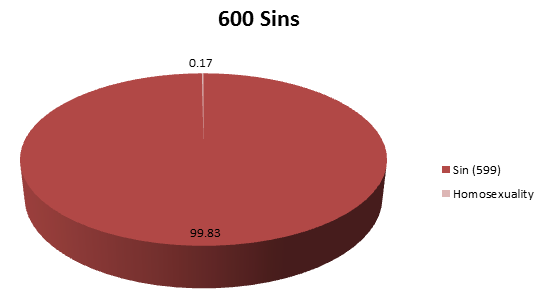 The first, sins are weighted equally. The other, 7DS and unpardonable (blasphemy) are weighted more than the other 592. Regarding preaching on the subject of homosexuality, for converting to pulpit time, I assumed a sermon every Sunday, 52 Sundays a year, one hour each Sunday, with 100% of platform time devoted to sin (with no positive messages). If you were to preach a sermon on sin each sermon, a sermon on homosexuality would occur every 11.5 years. If you were to preach a sermon on sin each sermon, a sermon on homosexuality would occur every 19 years. Of course, the more pulpit time spent on positive messaging, the percentage of time dedicated to all sin, including homosexuality, goes down. Devoting half of platform time to positive Christian virtues would double the time between sermons on homosexuality to once every 23 years and 38 years for the above scenarios. If you are spending more time, pulpit or other, devoted to homosexuality than proposed above, that is a choice you, as a human being, are making, not a Biblical dictation. As a Christian, you have a choice. Homophobia is NOT a Christian virtue. Bigotry is NOT a Christian virtue. Racism is NOT a Christian virtue. Fear is NOT a Christian virtue. Hate is NOT a Christian virtue. We are told not to judge others. What are Christians supposed to do? I encourage all Christians to embrace the fundamentals of Christianity, Faith, Hope and Love. The world needs a lot more of that right now. We are all in this together. Better is a dinner of herbs where love is, than a fatted calf with hatred. Imagine if, as a society, we put our efforts towards working together on the problems we collectively face instead of against each other. I believe we can benefit and learn from the good word and works in the Bible, applying them to modern circumstances. I propose we get back to the fundamentals of the faith rather than get distracted by the those who preach with the “wisdom of words” and detract us from the real issues we face as a society. For the time will come when they will not endure the sound doctrine, but according to their own desires, because they have itching ears, they will heap up for themselves teachers; and they will turn their ears away from the truth, and be turned to fables. In this era of technology, social media, and the ability to instantly share information, we each have a platform visible to the world. You can choose anything you want for your platform; it can send any message you want to convey. Found in my Bible. From Sunday School in the 80’s. Copyright 1982 by Thomas Nelson, Inc. Given to me December 20, 1987 by Harp’s Crossing (Southern) Baptist Church. Wes is a project manager, website platform builder, inventor, and concerned citizen focused on construction, digital media, and non-profits, that wants to live a more thoughtful life focused on positive change; he created Thoughtfulness.org to help facilitate the effort. Wes holds a BS in Architecture and a Masters in Building Construction and Facilities Management from Ga Tech. To contact, please email berrywes@mac.com or visit www.wesberry.net for more information. Make A Difference. Sign Up For the Thoughtfulness Newsletter.